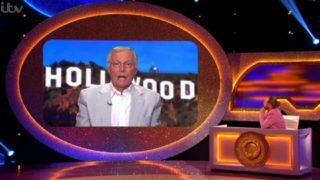 The DVD is basically a video journal made by Adam West where he shares all his memories from his Batman days, episode by episode. 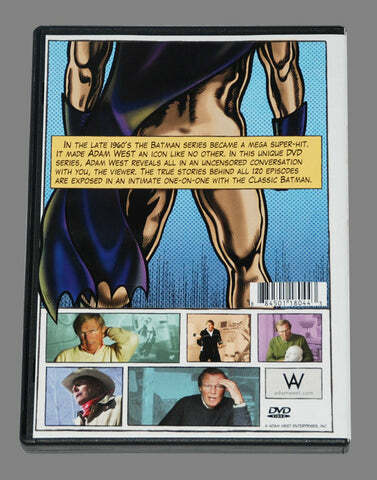 A brand new 2-Disc DVD produced by and starring Adam West. 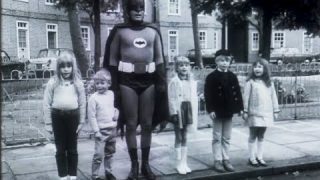 It contains over 3 hours of footage in which Adam goes episode by episode, recounting his personal memories and telling never-before-heard stories about his experience creating the iconic 1960’s Batman TV series. 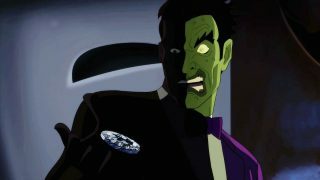 Amusing and intimate, this DVD immerses fans in the world of the classic Batman series in unparalleled depth. The classic Batman speaks alone to you, the viewer, in a variety of amusing settings, whispering in the attic, or astride an imaginary horse at his home.